With The Bones of Makaidos, the series Oracles of Fire finally draws to a close. As the last book in a series known for long books, with a lot of plot to tie up, this book is long, almost too long. By the end you’re close to page 700, but I would say the read is definitely worth it. The book finishes the conflict begun in books two and three: the battle for Second Eden. Warning; these next few paragraphs probably contain several spoilers. Read on, but you’ve been warned! The Bones of Makaidos continues the battle for Second Eden that begins in book three. As the fire that is protecting the villagers grows weaker, four years go by. In the villages, Elam, Billy, Walter, and Ashley prepare for the war they know is ahead, with the help of Listener, Valiant, and the other Second Edeners. Semiramis, and her son Hunter, appear in Second Eden offering to help the villagers. Claiming that she has been hurt by the dragon Arramos (whom we learn is Satan incarnate), Semiramis claims to be double-crossing the evil dragon. But whose side is she really double-crossing? And can she be trusted when lives hang in the balance? Still, all her information seems to be correct, and Elam and Billy must make a choice. Though a large portion of the book is about the preparations of those in Second Eden, I really feel that Bonnie is the main character of the book. A lot of the story is told through her perspective. When Caitiff invade the cave where she and Sapphira are hiding on Earth, they jump through a portal as their cave floods, and find themselves in a strange land, where statues dot the landscape and a strange dragon guards its prisoners. After spending four years there, during which Bonnie becomes an Oracle of Fire, Bonnie and Sapphira prepare to be sent in to Second Eden, along with Dr. Conner, Bonnie’s dad. They arrive just before the battle is ready to begin for Second Eden. The villagers and their friends are attacked by the Shadow People and the Vacants. After easily repelling this attack, they begin to relax. But the end is not near, for on the horizon appears a huge army of Hades, led by the resurrected Sir Devin, the ultimate dragon slayer. With the villagers of Second Eden stricken with a strange disease, and even with seven dragons, the humans left are severely outnumbered. Finally, all the enemies are defeated, though Goliath, the dragon rebel, still refuses to submit. Eventually, he provides the sacrifice which allows all the others to change to the form, dragon or human, that they wish. The spirits of the Nephilim finally driven from his mind, he dies with his father and mother by his side. After the battle, Semiramis appears once more, carrying the rope which binds together Hades, Second Eden, and Earth. After this has been cut, the plans of Satan to invade Heaven are foiled (Although we are never told the fate of Semiramis and Mardon). The book ends with what you’d expect: a wedding. Billy and Bonnie, now both in their twenties, are able to fulfill the prophecy at last. Elam, too, is able to finally wed Sapphira, after thousands of years of waiting. Ashley Stalworth and Walter are also married. Although all three of these weddings had been coming up for the entire book, the end still reminded me of Seven Brides for Seven Brothers; the triple wedding was somewhat awkward. Of course, the novel finishes with the mandatory prologue which gives more information about the further lives of many of the characters. The stories told in this short chapter include those of Gabriel and Shiloh, Walter and Ashley, the Foleys, Elam and Sapphira, and even Larry the supercomputer. These are told in a hospital room, where Bonnie is tending to their twins, Karen and Charles. These children, of course, are those of Billy and Bonnie, and through them Davis (happily) leaves the way open for yet a third series. As you can see, this book comes close to epic length by itself. It’s seven hundred pages, thus the above is the shortest summary I can manage. Let’s move on to some more important things now. This book was good, but it sort of dragged in places. There seemed to be a lot of anticipation before the final battle, which seemed to be rather short. On the other hand, the resolution after the battle was short and sweet, which I much prefer to a Tolkien-esque ending with multiple mini-climaxes. So the ending, at least, was good. The characters are the same we have followed throughout eight books, but having growing up in the four years between Book 3 and Book 4, are somewhat different than what we remember them. Still, it’s enjoyable to read about their ‘happily ever after.’ Davis also pleased me by having Acacia and one of the dragons die; not that I crave death or anything, but that shows the realism of war. This review is coming close to one thousand words, so I will wrap it up. 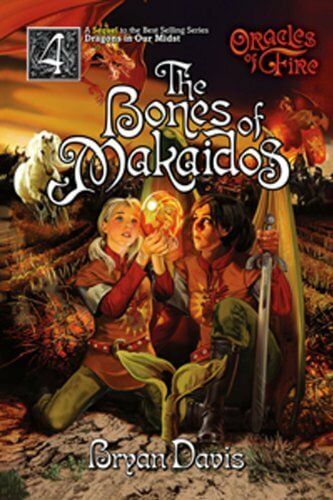 The Bones of Makaidos is the excellent sequel to finish up the Oracles of Fire series. If you’ve read the others, you must read this one just to find out how the story ends. And though the book could possibly stand alone, if you’re looking for a good read don’t go for this one. At the very least start out at the beginning of the series. My conclusion: if you’ve read the rest of the series it’s a must-read, but otherwise I’d look elsewhere. Wow, you’re not kidding when you wrote you’re an avid reader in your bio. 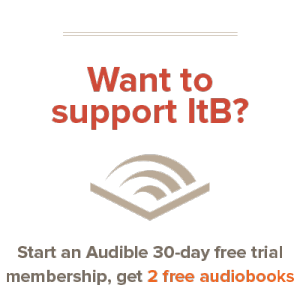 Just from the last few posts, it looks like you’re reading a book every few days, at least. How do you keep up with this? At my greatest, in college, I could read a book or so a week. Then I had to work for a living, and sadly I nearly never read any more. Keep living the dream man! In your honor, I’ll to start a new book today. @DowntroddenInDC: Yes, reading is one of my passions. 🙂 Of course, this is a team blog – there’s others that post reviews as well. Out of curiosity, Semi, what makes you say there seems to be a lot of Harry Potter influence? I loved this series!! So exciting and Biblical based. I love the fact that there are Scripture quotes in the book. I decided to follow your blog as I really like the reviews I have seen so far.